It’s Time to Duel around the world! We’ll be celebrating the 200th Yu-Gi-Oh! Championship Series (YCS) simultaneously in The Netherlands, Mexico, and the United States on September 22/23. We’ll have special prizes and activities on offer at all 3 locations, and today we are revealing the first of those, the Game Mats! 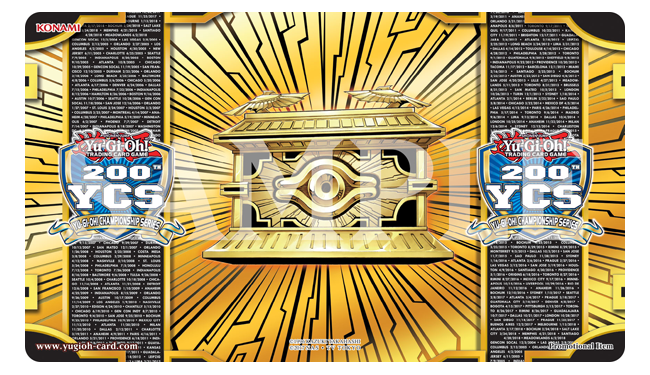 A number unique Game Mats will be exclusively available at these tournaments, read on to find out how you can take some home!